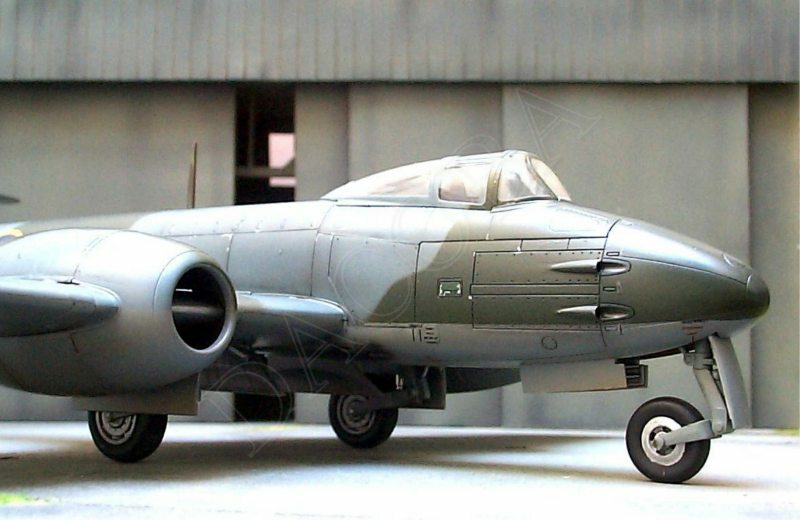 The Gloster Meteor was the first operational allied jet that took part in World War II as it was approaching its end. 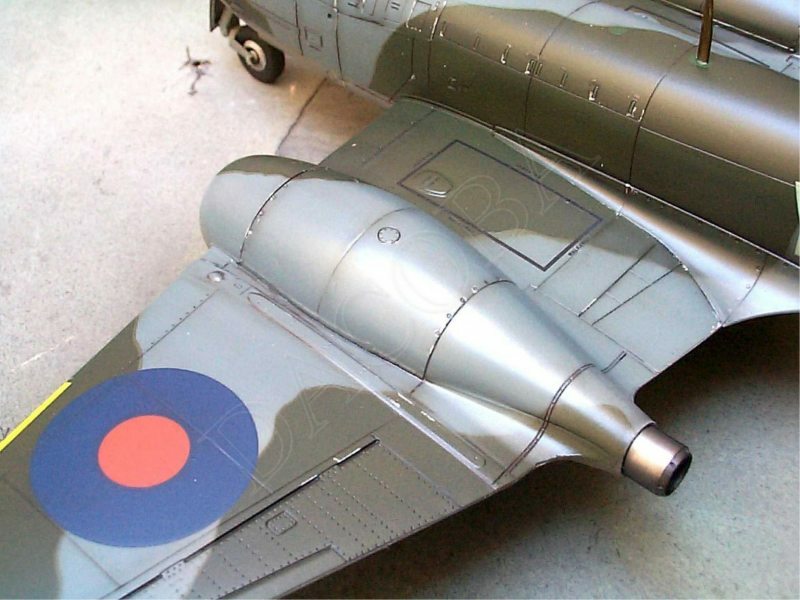 The British Air Force asked Gloster Aircraft Company to develop a plane propelled by jet engines. 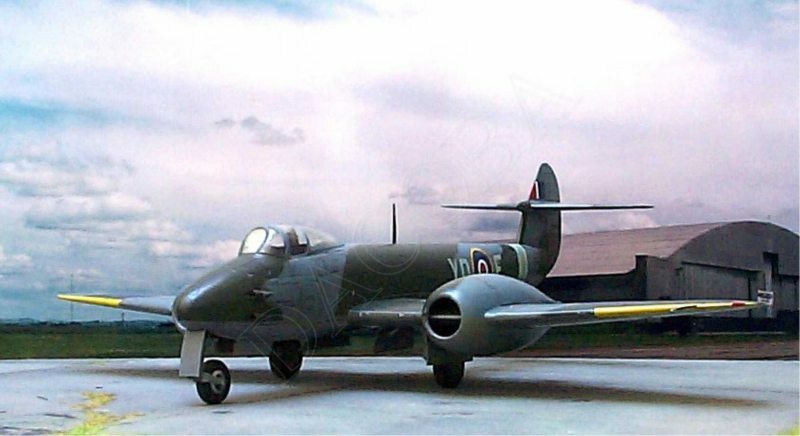 Gloster Aircraft quickly started developing this aircraft and shortly afterwards the British Air Force ordered the first prototypes. 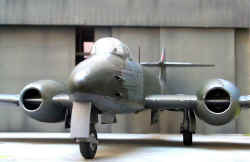 Originally, several types of engines were installed, one of them was the Halford H.1 manufactured by De Havilland, which had its first flight in March 1943. 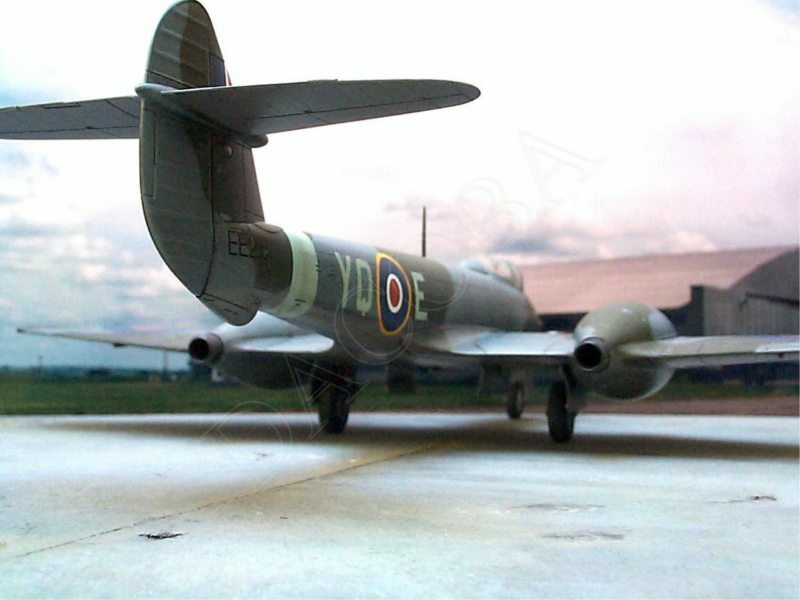 The final choice however was the F1, which was the first version to be produced, and made its inaugural flight on January 12, 1944 with W.2B/23 engines manufactured by Rolls-Royce. Except for the engines, there were practically no differences with the original design. 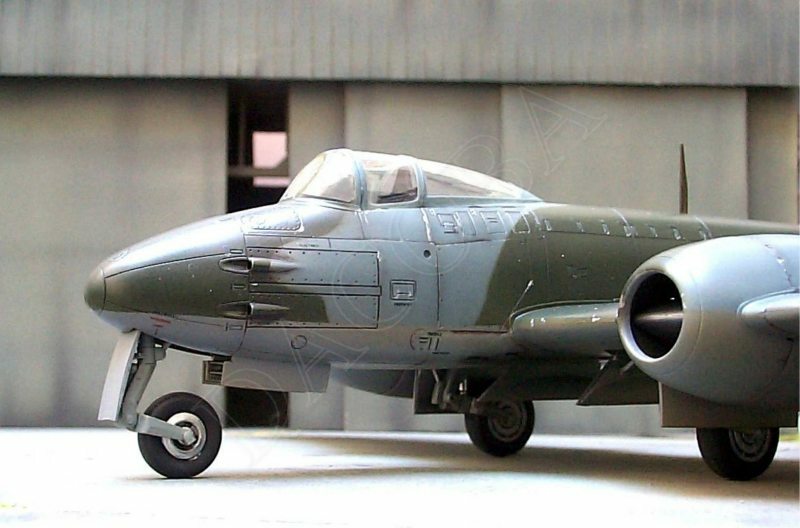 Twenty F1 were built and most of them were sent to the 616th Squadron. 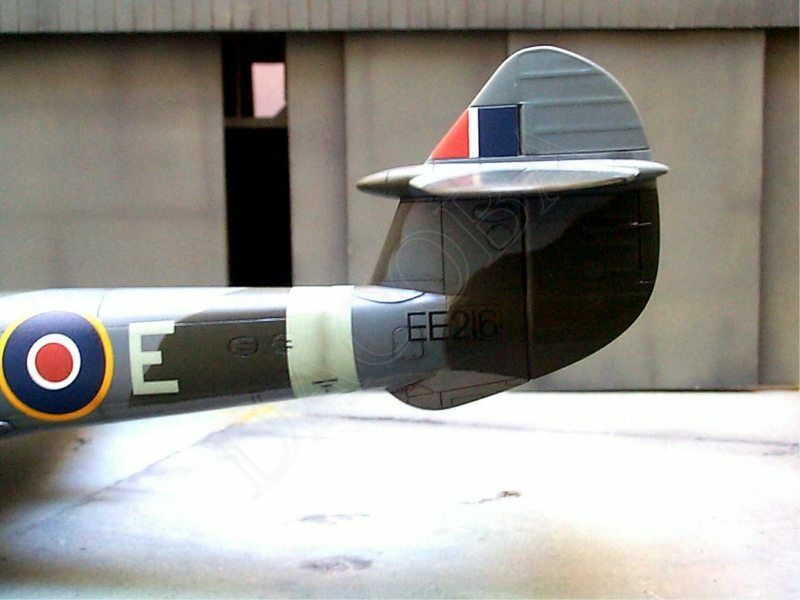 Here Tamiya offers its customers an excellent kit, with first class presentation, plastic, decals and details. Instructions are very clear. 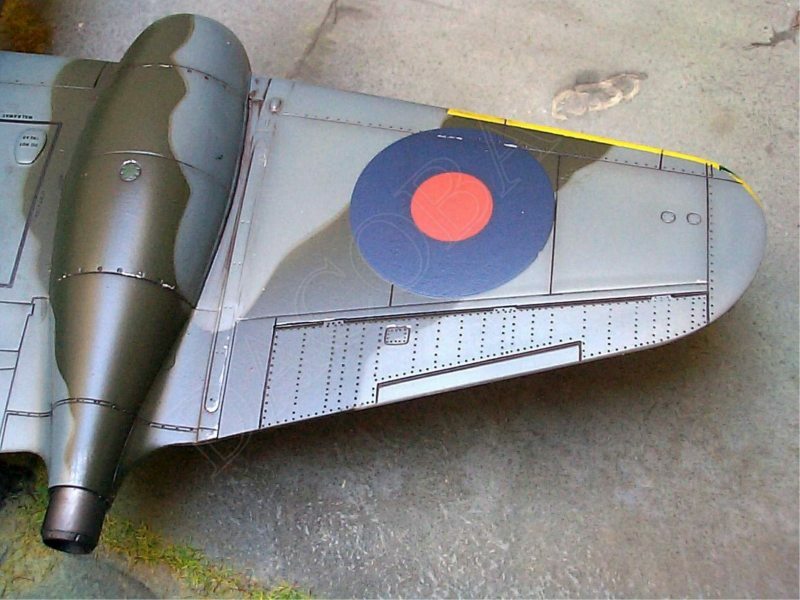 One important aspect to note is that this kit provides the necessary ballast to make our model steadier so that its tail does not drop, which is very common among tri-cycle landing gear planes. Tamiya also provides Rolls-Royce engines and gives us the option to insert clear access panel to visualize them. As it is usual with all Tamiya kits, building of this model is simple; use of putty is almost unnecessary. This is really a straight-from-the-box model. I only decided to replace the safety harnesses (which come in the form of decals) with others produced with lead foil. I chose one of the two alternatives for the 616th Squadron offered by the kit. I used Tamiya's acrylics for the whole model and some enamel for the metal parts. Afterwards, I applied Windsor and Newton satin clear acrylic varnish. For the painting job, I used a Bager 100 double action airbrush. 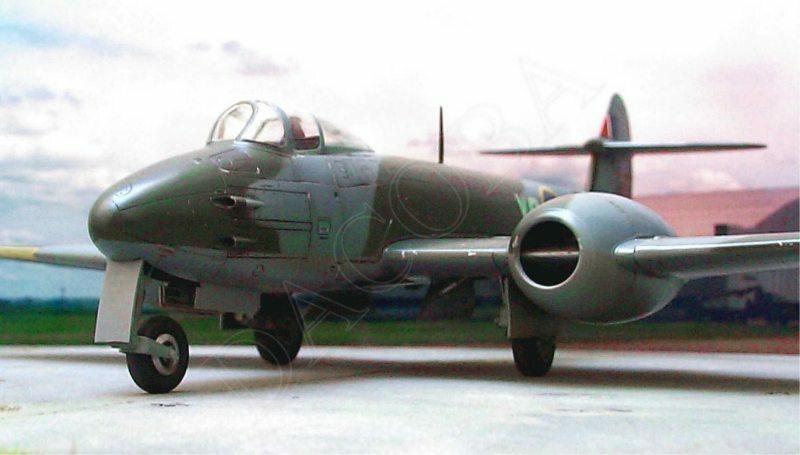 This is a very good kit, no only for advanced modelers - who will find here an excellent basis for superdetailing - but also for beginners since this model can be easily built.